Small projects can have a big impact. 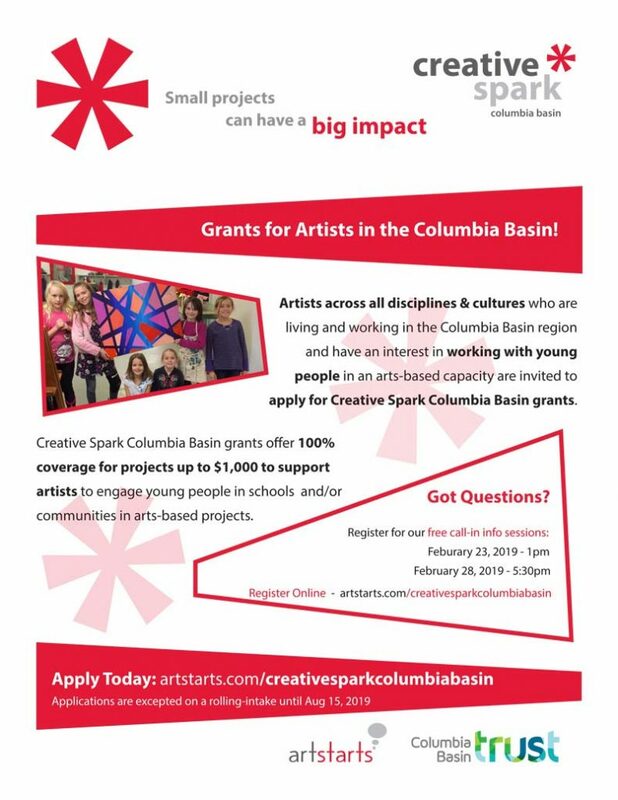 Receive 100% coverage on projects up to $1,000 with the Creative Spark Columbia Basin grant and make yours a reality! Both professional & emerging artists across all disciplines living in the Columbia Basin region who have an interest in building their careers and working with young people in an arts-based capacity are invited to apply for the Creative Spark Vancouver grant by ArtStarts in Schools. Applications are accepted on a rolling intake until August 15, 2019, full details at artstarts.com/creativesparkcolumbiabasin.